Lauren Conrad (LC) loves to change up her hair by transitioning through an array of dramatic lengths, colors, textures and hairstyles. 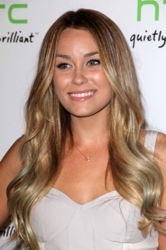 On July 19th of 2011 Lauren appeared at the HTC Hosts the “HTC Status Social” in Los Angeles with very long hair extensions highlighted with an array of light turquoise blue strands. On November 9th the reality TV star, author and fashion designer appeared with her hair infused with waves, but several inches shorter than at the July 19th event. The blue highlights were no longer visible. Did LC get her hair cut? It’s unlikely. It’s most likely she had her longtime hairstylist Kristin Ess of Warren-Tricomi salon in LA shorten the hair extensions she regularly wears. Hair extensions are often used to make a great impression. And what would make a better back-to-school impression than a great head of hair? Even better, hair extensions have become so advanced that even synthetic ones look like the human versions. Many of the hair extension companies have introduced heat defiant (HD) fibers. As an example, easihair’s new heat defiant collection of clip-in extensions (available at WigSuperstore.com) can be blow dried, hot ironed, crimped or hot curled just like natural human hair. The easihair clip-in extensions offer face-framing layers and volumizing pieces which blend in seamlessly to create long and luscious thick locks with just a few snaps of the fingers. Even better, the easihair clip-in extensions have a no-rise, smooth, skin base. Willow Smith continues to be a hair trend setter. She was spotted with her latest hair innovation, waist-length DayGlo braids interwoven with blinding hues of lime green, yellow and orange add-on hair. Her new hairstyle will offer maximum hair whipping props. Even though she’s just ten years old, Willow not only whips her hair when she sings, she keeps her fans and the media guessing with her ever changing hairstyles. Willow was spotted in Manchester, England yesterday. The youngest daughter of superstar couple Will and Jada Pinkett Smith is on tour with Justin Bieber. Willow is the opening act on the Never Say Never tour. Don’t get too used to the neon hued micro-braids. If Willow continues on her hair changing journey the latest braids will properly be replaced in short order. Mahopac Falls, NY – When it comes to professional salon hair extensions, the number of hairstyles they make possible are virtually endless. SHE by SO.CAP. 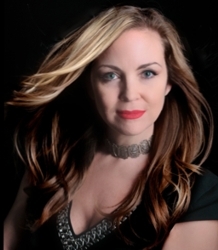 USA Hair Extensions Spokesmodels, Ashley Elmore & Gwen Gioia have personally experienced the versatility of hair extensions over the past year with the help of National Educator and hair extensionist, Kathy Williams. Best known for their appearances on The Bachelor and The Bachelor Pad TV shows, Elmore and Gioia continue to work closely with SHE by SO.CAP. USA Hair Extensions. With three photography makeover sessions now complete; SHE by SO.CAP. USA Hair Extensions now has an extensive portfolio of fashionable, everyday hairstyle makeovers that will be used in their future advertising, marketing and PR campaigns.